Austin Cremation All Faiths Learn About Monuments | All Faiths Funeral Services - South Austin cremation & funeral services, proudly providing families in austin affordable cremation funerals and services. Our helpful and caring staff are here to help you. 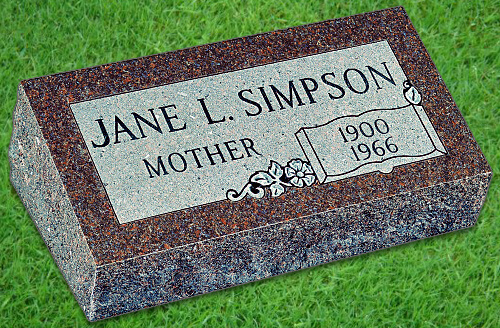 Upright monuments are the most popular memorials. They have a wide variety of shapes, sizes and finishes. The die (or tablet) can range in thickness from 6 inches to 12 inches. A Typical measurement for a single die is 24 inches in length, 6 inches thick and 20 to 24 inches high. The base will measure 36 inches long, 12 inches wide and 6 inches high. For a companion monument, the standard measurement for the die can range from 42 to 48 inches long and have a base of up to 60 inches in length. These sizes are standard but can be made larger or smaller, depending on preference. A Bevel Marker, also known as a pillow memorial, sits flat on the ground. It measures 6 inches high at the back of the stone and 4 inches high at the front of the stone, giving the face a 2 inch drop or beveled top. Standard measurements for bevels are similar to grass markers: single - 24 inches long, 12 inches wide and 6 inches high; companion - 48 inches long, 12 inches wide and 6 inches high. Bevel markers do not sit flush with the ground. A Grass Marker is a marker that sits flush with the ground. 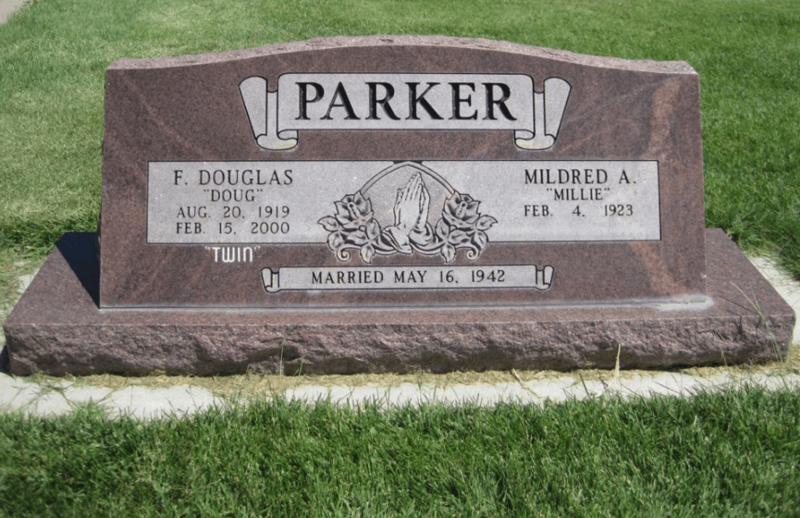 Many urban and perpetual care cemeteries prefer these markers because lawnmowers can pass over it without hitting the stone, making lawn care easier. 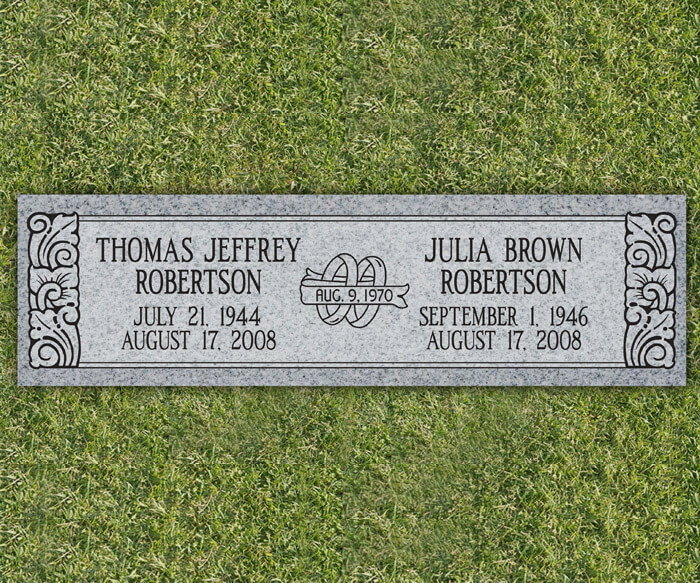 The marker typically measures 4 inches from the ground up to the top of the granite. Standard measurements are: single - 24 inches long, 12 inches wide and 4 inches high; companion - 48 inches long, 12 inches wide and 4 inches high. The length and width can be made larger or smaller, depending on preference. 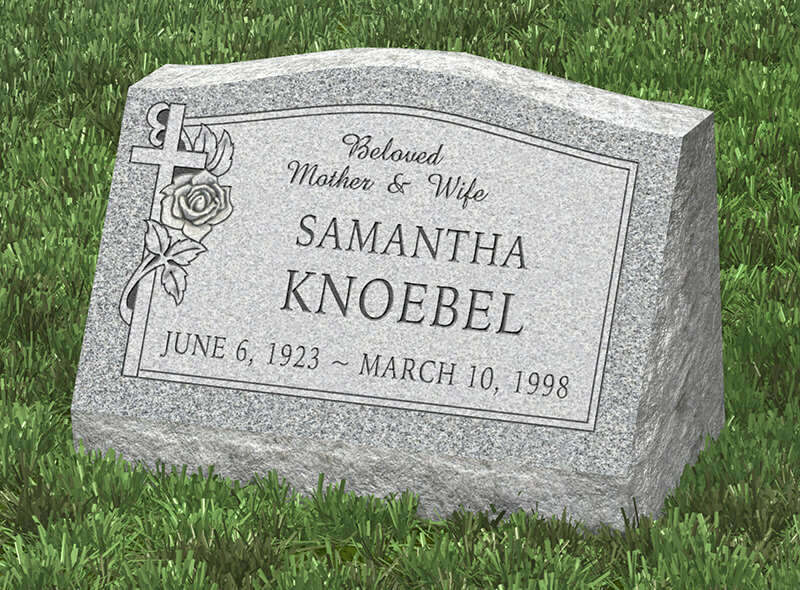 Some cemeteries only allow flat markers in specific sections, so check with your cemetery sexton to determine what is allowed in your area.